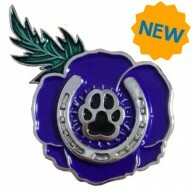 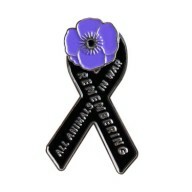 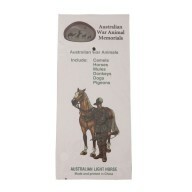 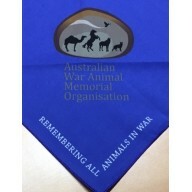 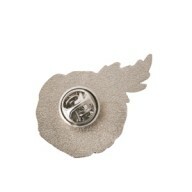 This pin is a replica of the Australian War Animal Memorial Organisations’ (AWAMO) logo. 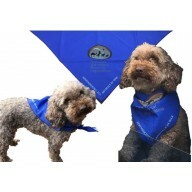 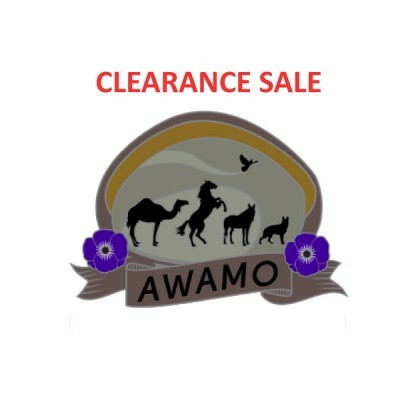 AWAMO is a volunteer not for profit organisation of community minded members from diverse backgrounds with the like-minded aim to recognise the deeds of animals during Australian Military service and to educate the next generation of Australians to understand the sacrifices of our four legged and feathered diggers have made. 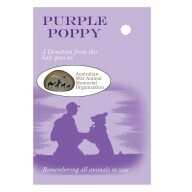 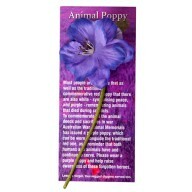 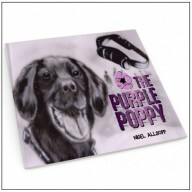 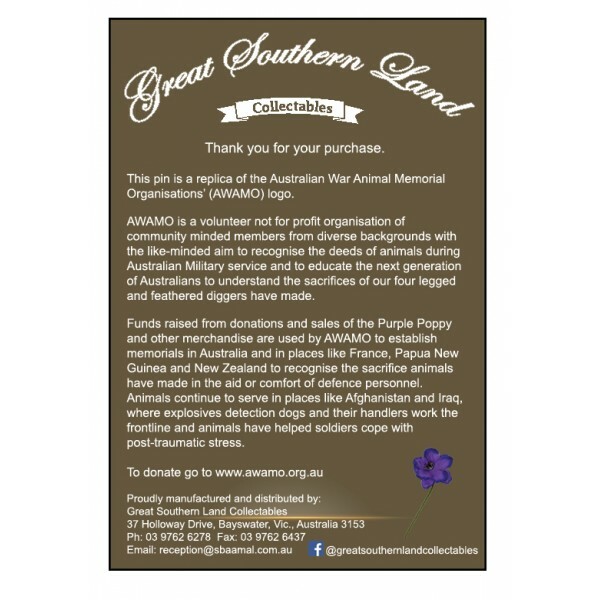 Funds raised from donations and sales of the Purple Poppy and other merchandise are used by AWAMO to establish memorials in Australia and in places like France, Papua New Guinea and New Zealand to recognise the sacrifice animals have made in the aid or comfort of defence personnel. 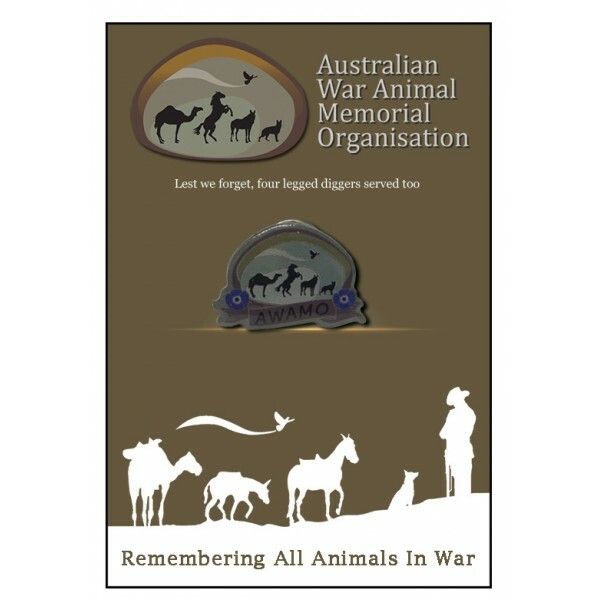 Animals continue to serve in places like Afghanistan and Iraq, where explosives detection dogs and their handlers work the frontline and animals have helped soldiers cope with post-traumatic stress.